Freddie Bishop III has reached a two-year deal with the New York Jets. The Jets were one of seven teams Bishop worked out with, including the Chicago Bears, Philadelphia Eagles, Tennessee Titans and New England Patriots. 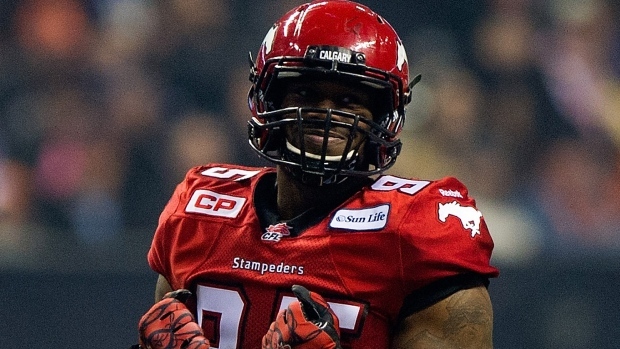 Bishop, a Western Michigan product, recorded 11 sacks with 45 tackles with the Calgary Stampeders in 2015. Bishop briefly was with the Detroit Lions after going undrafted in 2013. He was signed by the Lions May 14, 2013 and released a month later. Bishop ran a 4.88-second 40-yard dash at his Pro Day in 2013 with a 7.42-second 3-cone, 4.52-second short shuttle, 37.5-inch vertical leap and 9-foot, 9-inch broad jump.